The Kentucky Vocal Union is a contemporary Barbershop chorus in Louisville, Kentucky, with membership from all over Kentucky and surrounding states. The ensemble is for serious singers who want to enjoy close harmony in a high-level group. The KVU strives to provide a fun and focused environment where members can enjoy the camaraderie of singing while pushing the limits of their abilities. The chorus formed in October, 2006. 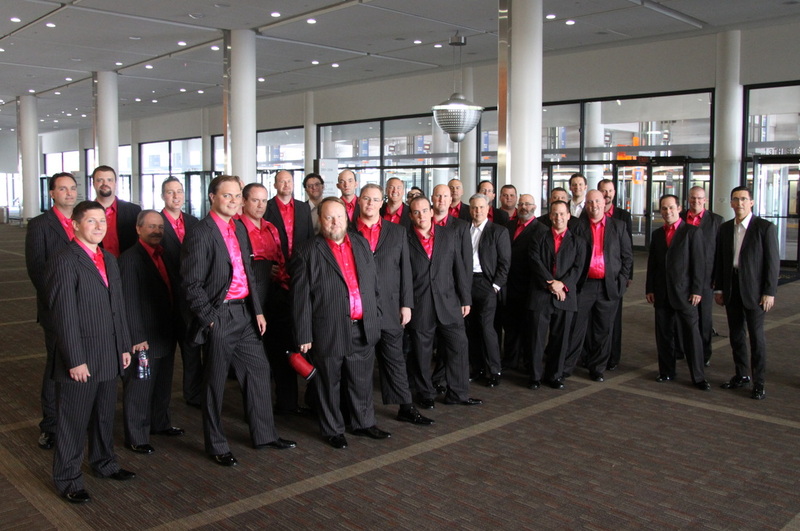 Since then they have represented Kentucky and Indiana (the Cardinal District) five times at the Barbershop Harmony Society International contest in Nashville, Anaheim, Kansas City, Portland, and Las Vegas. The KVU finished 3rd in the world in Portland 2012! The Kentucky Vocal Union is committed to sharing excellence in a cappella singing through performance, fellowship, and community involvement.